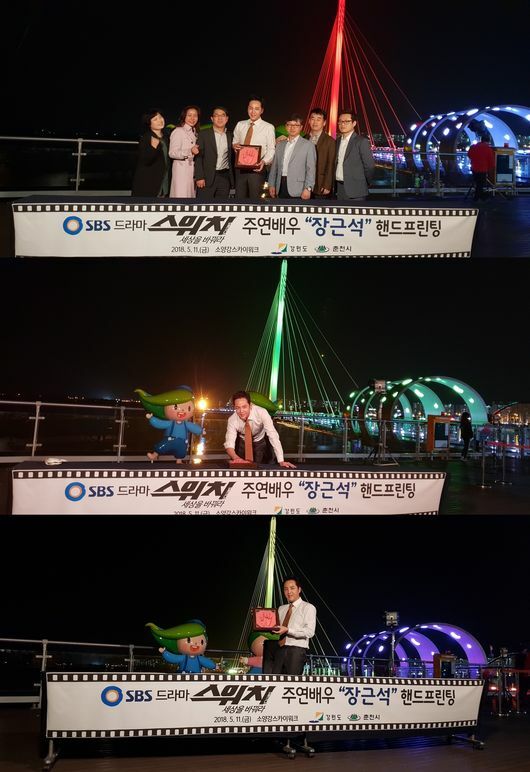 Jang Keun Suk visited Chuncheon for Switch filming. He is well-known as a PR ambassador of PyeongChang Olympic and Paralympic Games as well as Gangwon Province. He attended a handprint ceremony with the governor.